David Parry-Davies presents the Energy Award to eco printer company RISO, accompanied by Miss Earth. Do you help to protect and preserve the Earth? Does your company provide products or services that are helpful to the Earth? If so – then Eco-Logic wants to recognise and support YOU! The search is on for individuals and organisations that contribute to the well-being of the Earth, its wonderful biodiversity and natural resources. If you are such an individual or organisation – please enter the Eco-Logic Awards. Guests dressed in “glamorously green” outfits. The Water Conservation Award – for a product or service that results in Water saving. The Energy Saving Award – for a product or service that results in Energy saving. The Transport Award – for a product or service that reduces environmental impact in Transport. The Recycling Award – for a policy, programme or project that has demonstrably contributed to a greater public understanding and participation in waste reduction, re-use and recycling. The Biodiversity Award – awarded to an organisation for a successful biodiversity protection, rehabilitation or damage mitigation programme. The Climate Change Award – awarded to an organisation that has achieved a substantial reduction in Greenhouse Gas emissions. The Youth Award – for an individual of 26 years or under who can show that their actions have protected, preserved or improved the Earths eco-systems and natural resources. The Eco-Angel Award – for an individual, whose actions have conserved, nurtured or restored the Earths life forms, eco-systems or natural resources. The Eco-Warrior Award – for an individual, whose actions have defended, protected or prevented damage to the Earths life forms, eco-systems or natural resources. The Eco-Innovation Award – for a new product or service that is financially viable and sustainable, that serves the needs of humans whilst being equally beneficial to the Earth and its eco-systems. The Lifetime achievement Award – for an individual that has served the interests of Social and Environmental Sustainability – for a period of 15 years or more. To enter for an award, click on the appropriate category here. Celebrity guests included award-winning conservation journalist, Michelle Garforth-Venter and her husband Riaan Venter. The Eco-Logic Awards are open for entries up until the end of June 2013, but the sooner you enter, the more time we will have to really get to understand and appreciate the qualities of your entry! 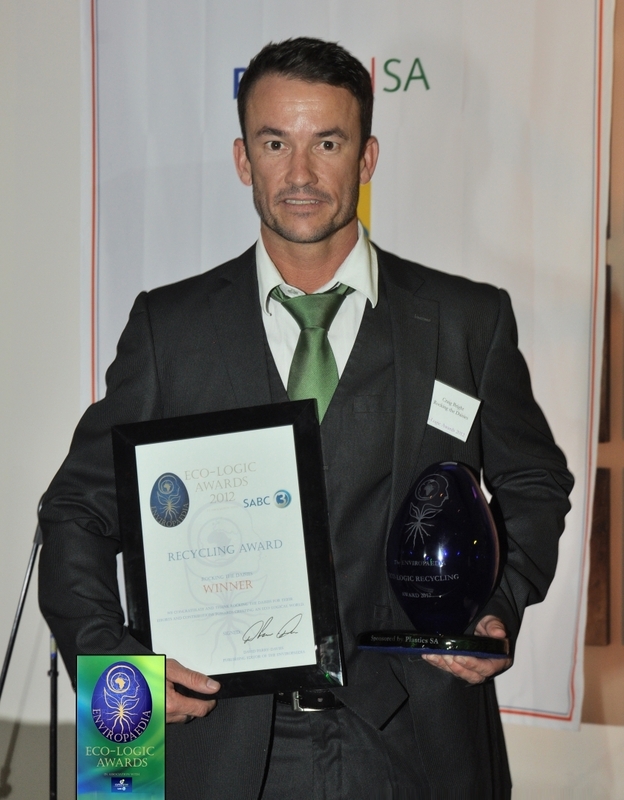 The Eco-Logic Awards will be celebrated in association with SABC3 again in September 2013. The ceremony will be hosted by The Enviropaedia at a ‘Gloriously Green Celebration’ where Finalists and Winners will be recognised, rewarded and given great media exposure for their Earth-supportive efforts, products and services. Consistent with The Enviropaedia strategy since their first publication in 2000, The Eco-Logic Awards’ intention is to identify and promote constructive solutions to our environmental challenges (whether these be via individuals, consultants, products, services or any other credible and realistic programme or initiative). Empowering people and organisations to find workable solutions to the environmental challenges we face is an essential role to play. This strategy specifically includes encouraging individuals to become members and supporters of environmental organisations. The two previous Eco-Logic Awards have proved to be highly popular and successful and as a result, SABC3 are willing to give much more TV coverage to this year’s Awards. This can only be a good thing for the finalists and winners, many of whom desperately need increased public awareness and support for what they are doing. Rocking the Daisies founder Craig Bright. 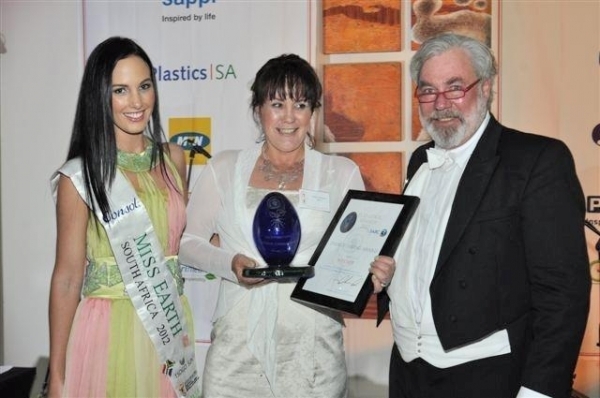 The SA green music and lifestyle festival won awards for Recycling and Transport.